Flagship North Usman Road combines modern style with vivid shades and cosy rooms to offer travellers a relaxing and a refreshing stay. The rooms feature bright coloured statement walls as a contrast to the remaining light toned walls and dark furnishings. Long flowing curtains add to the overall look. There is ample storage space where guests can easily unpack their belongings. The property offers free WiFi services, elevators and power backup. Parking facility is available for guests travelling by personal vehicle. Card payment is accepted by the property and CCTV cameras are in place for added security. 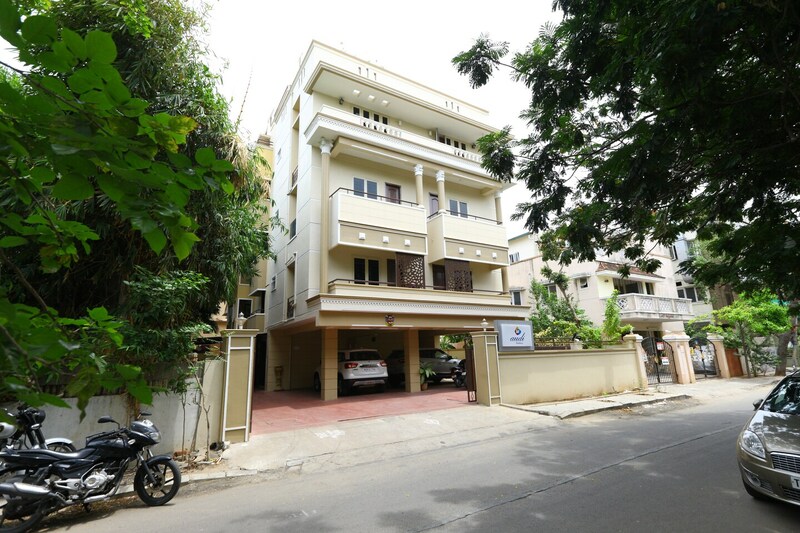 The property is located close to the Kodambakkam railway station and Vadapalani metro station, making travel easier for guests.